For the second time in 4 years Volkswagen wins the coveted Car of The Year (COTY) from Motor Trend magazine. 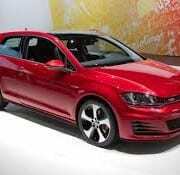 This time they did it with their newly redesigned Golf. You can read all about it here. The 2015 Golf is built in Mexico. 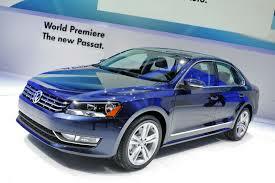 The 2012 winner was the redesigned Volkswagen Passat built in VW’s new manufacturing plant in Chattanooga TN. You can read that here. 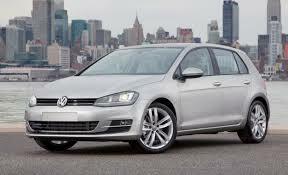 Prior to 2012 the last time VW won this award was in 1985 with their Golf GTI that was built in Pennsylvania. Volkswagen continues to invest in North American manufacturing and state of the art technology in the their effort to be the largest car manufacturer in the world by 2018. With these recent awards it is obvious that they are doing something right. Although we don’t sell new 2015 Golfs at Mountain Valley Motors, we can find you lots of used Volkswagens from previous years. And we can service your VW too. We are glad to see the success of this great brand and congratulate VW on this award. Hopefully this will translate into more VW cars produced so that we can continue to sell and service more used VWs in the years ahead.